A full range of High Quality Hose Clips and Heavy Duty Mikalor Hose Clamps. Mikalor Clamps W2 are a heavy duty reliable T-bolt clamp that can be used with our Polylock Hose range as well as our rubber and PVC hoses. 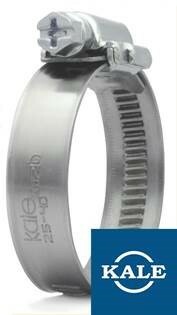 The W2 Clamp has a Stainless Steel band with a mild steel bolt. Mikalor Hose Clamps W1 are a heavy duty reliable T-bolt clamp that can be used with our Polylock Hose range as well as our rubber and PVC hoses. The W1 Clamp is made from zinc plated mild steel. 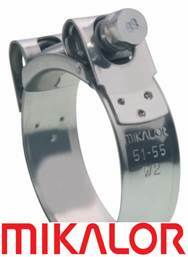 Mikalor Hose Clamps W4 are a heavy duty reliable T-bolt clamp that can be used with our Polylock Hose range as well as our rubber and PVC hoses. The W2 Clamp has a Stainless Steel band and bolt.